To grow a good crop, you need to take into accountmuch - the weather, the quality of fertilizers and seed. Ogo novice really difficult to understand the subtleties of irrigation, planting, fertilizing features. 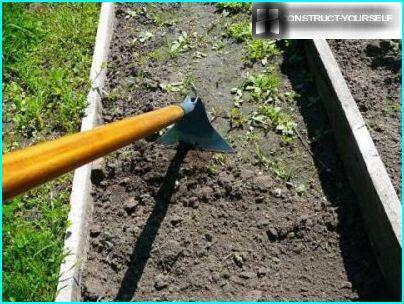 If you are a novice gardener, you can proceed by trial and error, or the experience of practicing professionals. In the second case, we are referring to the beds for Mittlayderu. Always there will be a good result? American Jacob Mittlayder more than twodecades dedicated cultivation of flowers and vegetables for sale. 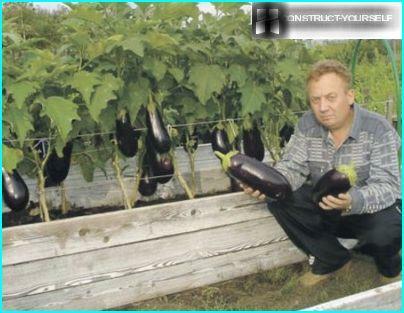 Having been in different countries, he studied and crop nutrition and created an effective method of growing vegetables, which can now take advantage of gardeners-fans who do not have much experience of growing vegetables and sprouts. The method is good for its versatility - you cangrow almost all - zucchini, tomatoes, cucumbers, potatoes, carrots. 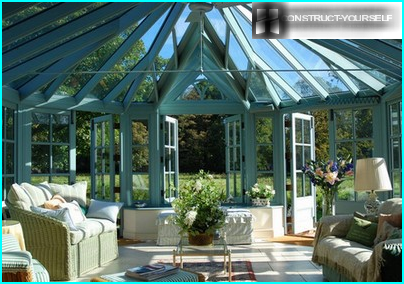 The beds can be made in the open field and in the greenhouse. Horticultural farms have long taken on this technique review. What distinguishes mittlayderovskie beds from the usual? They are quite narrow, with a wide passage, and fitted with a special design - with earthen or wooden bumpers. The design, invented Mittlaydera, proved to be very resistant to weathering, in particular to a strong wind. This garden weeds quite small, pleasing its purity and perfect geometry. also need to know when your local frosts occur in the fall to harvest and prepare the beds for the next season. 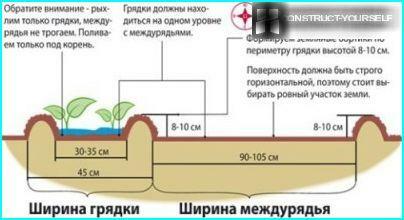 adaptations for fertilization and irrigation. A procedure works as follows. First and foremost, do the layout of narrow beds, using pegs. The width of the beds - 45 cm passage between them can be meter or smaller -. 75 cm. Its dimensions are determined by the size of the plot. The length of the beds is also dependent on the size of the area - 3 - 4.5 or 9 meters. The spatial orientation of the beds has a largevalue. Ideal - the location of the east-west, to the plants get the maximum light. Taller culture is not necessary to plant from the south, so they do not obscure the lower. This structure provides good coverage of the beds. Another feature of the narrow beds on Mittlayderu- The presence of the flanges. They are installed on the perimeter of the beds. The height of the rim - to ten centimeters, width - not more than five. The space between the sides of the beds -. Within 30 cm too high have the beds do not need, it will complicate the watering. According Mittlayderu passage and the beds are located on theone level, but we often have beds and over passes. 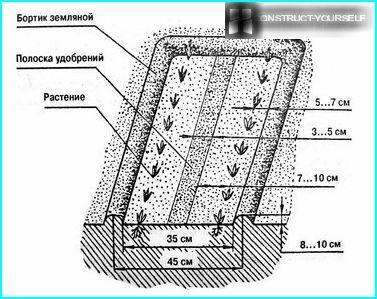 Option cultivation using boxes is more complex and costly, it is most convenient to grow vegetables in the open field, it is also the cheapest way. The soil between passes should be wellcompacted. No need to fill up their gravel or paving tiles - in this case the roots of weeds can remain in the soil and damage the vegetables or seedlings. Almost all cottagers very annoying moles - compacted soil in this case can help, because the animals to dig turns prefer loose soil. At Jacob Mittlaydera there are followers, andcriticism. If you are fascinated creation of beds for seedlings and vegetables on Mitlaydera method that with proper use of it, you can grow crops, which at times exceeds the usual, using conventional techniques. 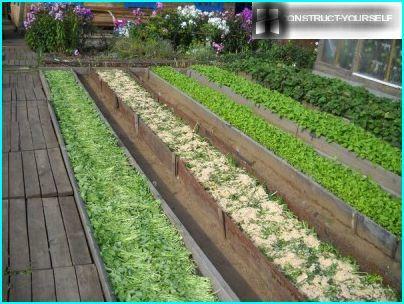 When growing vegetables by this method are two kinds of mixtures are used for fertilizer. The fertilizer composition of the mixture composed of the following components: magnesium, molybdenum, nitrogen, potassium and phosphorus. 60 grams per meter - that is the flow of the mixture used for fertilizing weekly. Fertilizer containing boron and calcium,used before planting. The rate per linear meter for light soils - 100g for heavy - 200g. Light soils - sandy and sandy loam, heavy - peat, loam, clay. Our gardeners noticed that the copy of themethod without a creative approach to understanding the processes of growth and cultivation of crops, their biology, does not always give good results. Mittlayder offers only use mineral fertilizers, and at such a feeding fruit flavor seems many chemical, unnatural. Many of our vacationers, using this method, replace mineral fertilization on organic - use compost, manure, humus, ash. In this case, your harvest will be environmentally friendly. When using fertilizer plant a little better supplementation than fertilize with a surplus, not to harm your health. If your land is often flooded with water -in the spring or during the summer showers, you can use the boxes. If rain falls two to three days almost without interruption, vegetables in them will suffer much less or practically not be affected. 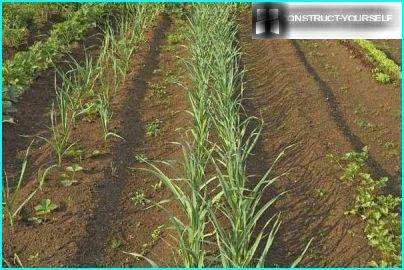 If you decide to arrange a bed, guidedMitlaydera method, you will be able to grow rich harvests, and care for such a garden requires much less time. If you can not go often to the country, will be enough and two days a week - at weekends and during the week for watering the garden.